Hmmm, so you are a lady who takes real good care of your skin, making sure that it remains as flawless as the day that you married? Well, doing the house chores might mean being cause for wrinkles on your skin, but there is always this thing called rubber gloves to protect your sensitive skin against any kind of harsh chemicals. Having said that, what if you had a man who would not mind helping you out with the chores around the house? 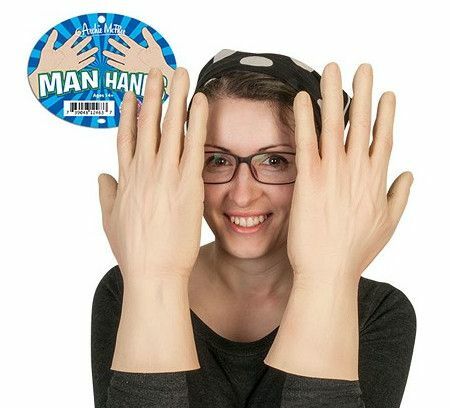 The thing is, such a man is not too easy to find these days, which is why something like the $35.99 Man Hands would definitely come in handy. Wearing this would provide you with the perceived man-power that you may require when the going gets tough, and it sure is a definite hoot!